As a hospice nurse and a beauty pageant contestant, Red Cross volunteer Anna Hiatt takes the message of emergency preparedness to some unique audiences. For the September 2016 National Preparedness Month, the Red Cross is urging families to “make a plan”, and Anna has stepped up, scheduling 10 events where she hopes to help the community be better prepared. She will be giving radio interviews on preparedness, offering presentations in senior care facilities and volunteering for Red Cross booths at public fairs. Disasters can happen very quickly and sometimes there are only minutes to react. Planning ahead can help keep households safe. The Red Cross has a number of programs to help people prepare for emergencies of all kinds. “I think it’s a very valuable service that the Red Cross provides,” says Anna. 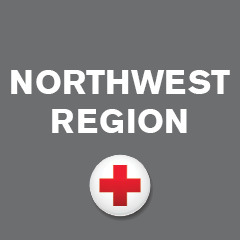 Anna first got involved with the Red Cross after the 2014 Washington Landslide. The landslide site is on her route home, and seeing the work the Red Cross was doing to help the community inspired her to make connections with those involved. “I realized this (preparedness) was an area that I can contribute to as a nurse, as a public speaker, as someone who likes to get out and educate the community,” said Anna. Anna spent years working in the emergency room as a nurse, which stirred a passion for preparedness that has stuck with her. She wanted to be able to help people before the emergency. Anna later found her calling was in Hospice care after a coworker shared how impactful it was in the community. When Anna visits her hospice patients in their homes, she shares Red Cross preparedness brochures and offers suggestions on how to be ready to react. Home fires are the most common threat to people around the country. Having a quick evacuation plan, working smoke alarms and practicing the plan can have a great impact on the personal outcome of a disaster. “As long as people have that information beforehand, I feel like I am succeeding,” Anna said. She works to spread the word on preparedness to all whom she meets so that people can be educated before a disaster. Free online resources are available from the Red Cross such as supply lists and the “Emergency App” that can help people prevent home fires and provide information on what to do if a disaster occurs.